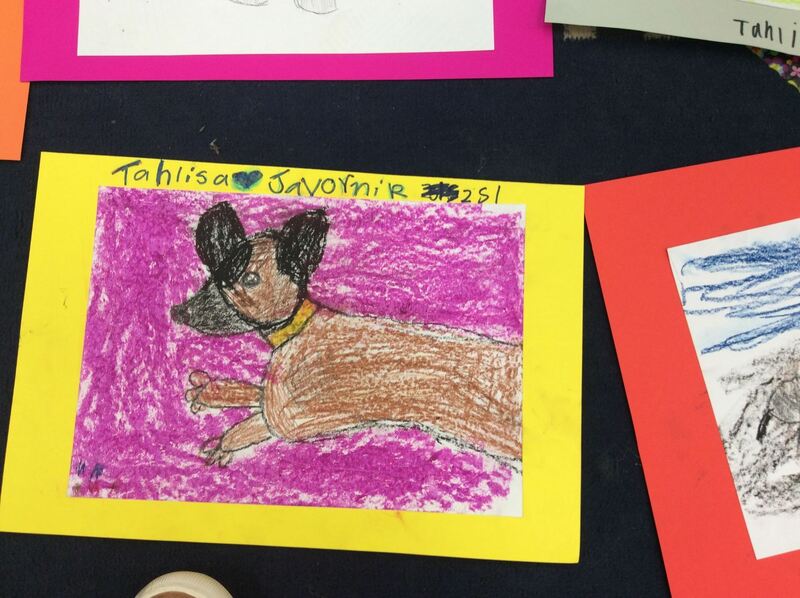 Congratulations to our Grade 2 students who watched some YouTube videos on drawing animals with fur and then went on to try it themselves. 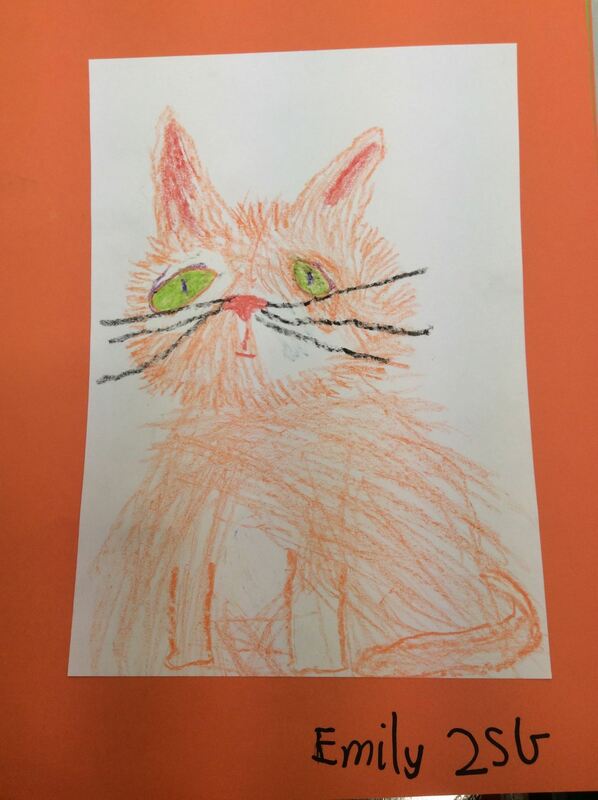 I particularly like Emily’s ginger cat. He has such beautifully expressive eyes. 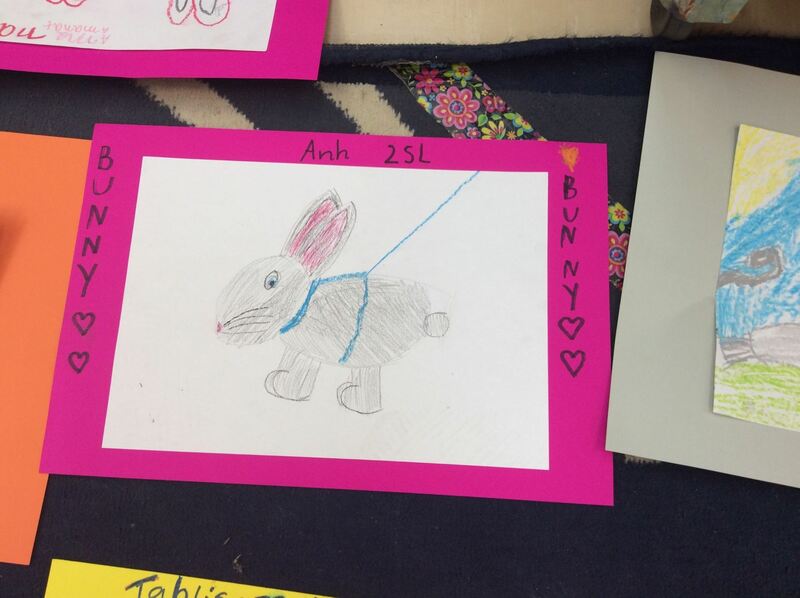 Well done to Tahlisa who realised that the whole animal doesn’t to need to be drawn and to Anh who knows, from experience, that bunnies don’t mind being taken for a walk. 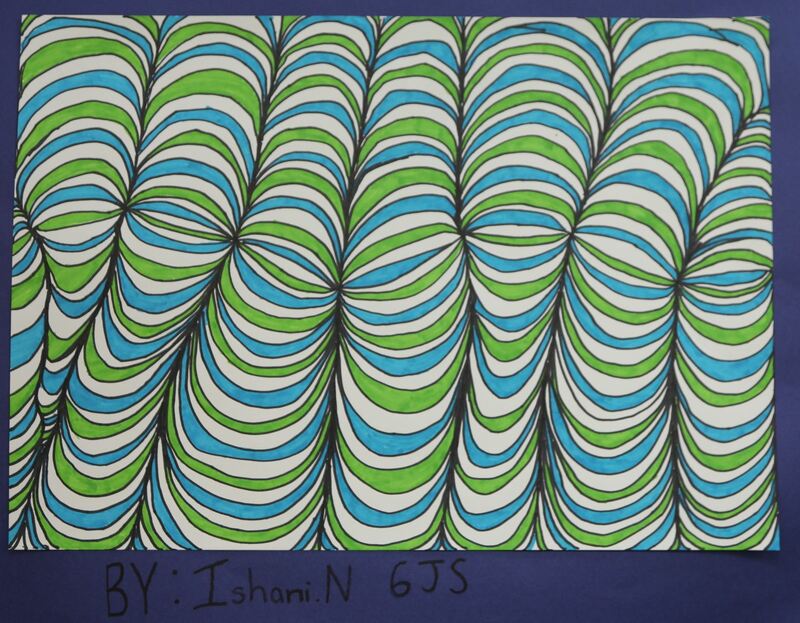 After last year’s Op Art success with Grade 6 students I wondered how the work of this year’s Grade 6 students would compare. We were inspired by this YouTube tutorial. I hope to have some great work to photograph today. 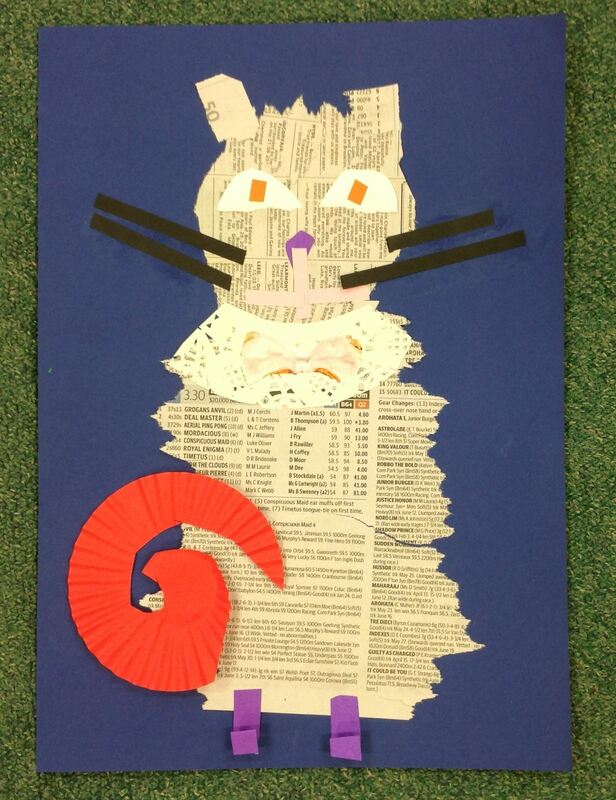 I was tempted to use “Cats Anonymouse” as the post title as I enjoy a play on words.These interesting collage cats were created by last year’s fabulous Grade 1 students. 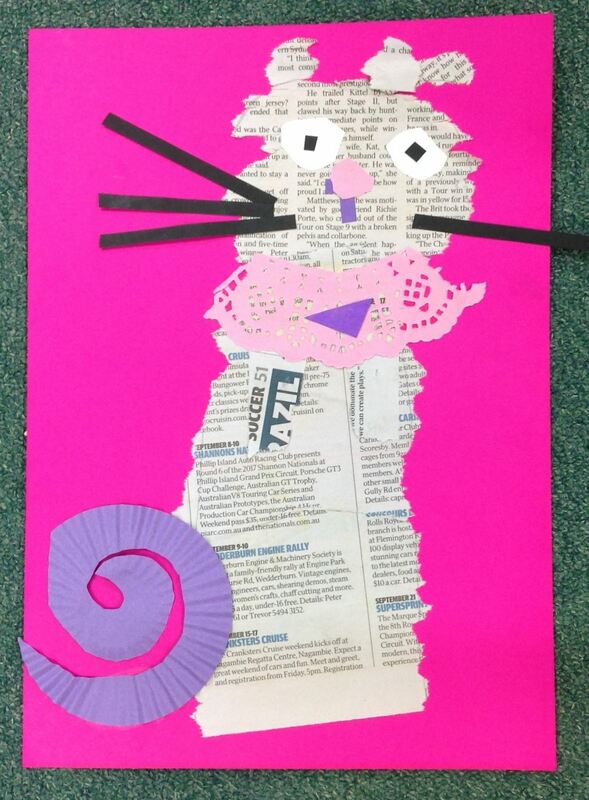 I am pleased to have them in Grade 2 art classes this year and look forward to encouraging their creativity and individuality. As I begin my 60th year in schools (I attended Muskerry East Primary School in country Victoria and Girton CEGGS in Bendigo for my secondary education), my 43rd year of teaching and my 32nd teaching Visual Arts I am still passionate about teaching and learning. It is a great lifelong journey.